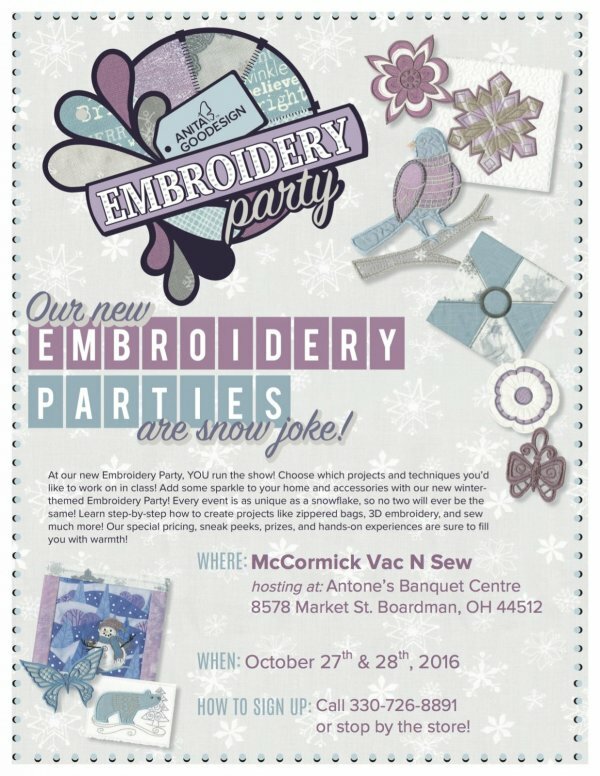 Join us and Anita Goodesign for this years exciting Embroidery Party! These will be one day parties, so pick either Oct. 27th or 28th. *non- refundable Payment due at time of registration.